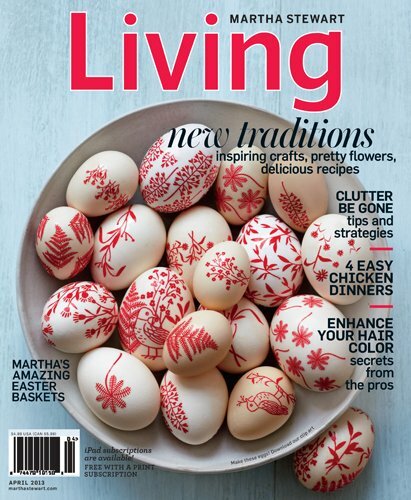 The folks at Martha Stewart Living shared an inspiring story with me from their April 2013 edition. The story is about Bea Johnson’s family who moved into a small house. As a result they decluttered (deeply) and dramatically changed their lives. From my perspective, this family is a poster-family for minimalism and green living. And while their lifestyle may not be for everyone, it got me thinking that for most of us, there is an opportunity to move more in the direction of the Johnson’s. Most of us have the opportunity to let go of even more stuff and in the process enjoy more of the benefits of simple living. 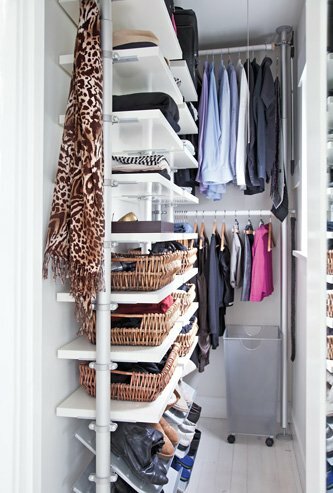 So I wanted to share with you some of the images and ideas that were presented in this story, in hopes that it inspires you to declutter just a bit deeper and change your life for the better just a bit more. Please note the following text and photos are Copyright © 2013, Martha Stewart Living Omnimedia, Inc. and have been used with permission. “When you don’t have that many things, it’s really easy to stay organized,” Johnson says. Plus, her family saves time on household tasks, since they now have far fewer things to put away, dust, clean, and launder. Even toys and sports equipment—a clutter trap in so many homes—are corralled and shelved in bins. Here are some of Bea’s tips for getting started. Two is not better than one. In nearly every room, she found redundant and rarely used items. Their beds, now have just fitted sheets and duvets (and can be made in seconds flat). Each family member has just two towels. To read the full article and get even more ideas and inspiration from Bea Johnson, pick up a copy of the April 2013 edition of Martha Stewart Living. 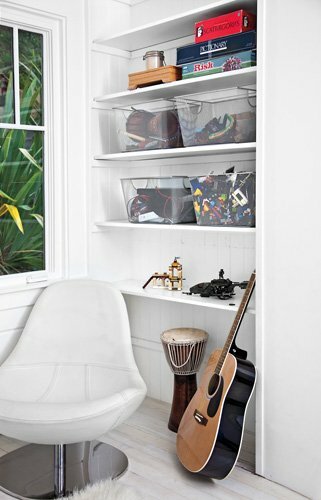 Are you inspired to declutter just a bit deeper? I know I am!